England and Saracens star Maro Itoje insists he is still mentally fresh after an arduous Six Nations campaign. Former head coach Sir Clive Woodward said Itoje looked “out on his feet” as England lost three games and finished a lowly fifth in the championship. “I think the mind is a powerful thing,” Itoje told BBC Radio 5 live. 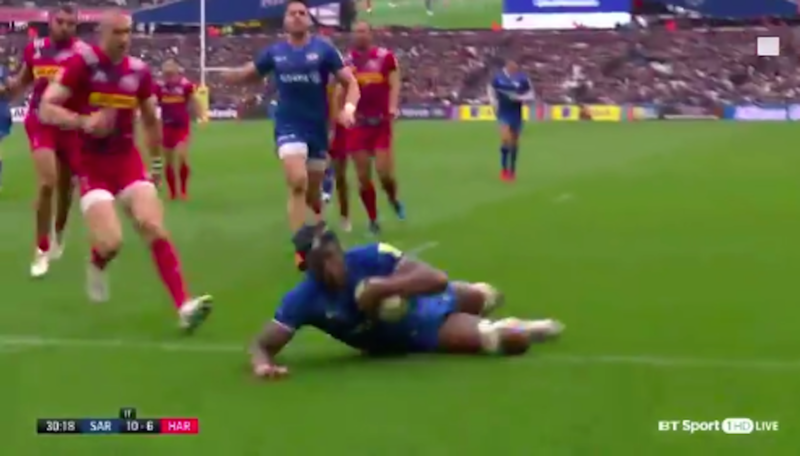 Itoje scored an excellent solo try to extend Saracens’ lead against Harlequins at London Stadium. “It was good to be back and I’m feeling good. “I don’t take any motivation from outside sources,” Itoje added. Saracens director of rugby Mark McCall said Itoje was “full of energy” against Quins, but stressed the player would be carefully monitored for the rest of the season. “He’s had a quiet week with us in terms of training,” McCall said. “I think it’s very easy to freshen players up to be honest, but Maro is someone we are going to keep an eye on over the next four weeks.